ALDI obviously knows that summer bodies are made in winter, because the discount supermarket chain is offering some bargain fitness essentials to help you get in shape. More than 20 fitness-related items will hit the middle aisle this Saturday (August 11), while stocks last. Expect a wide range of fitness gear from jackets to runners, a reflex boxing trainer and boxing gloves, protein supplements, as well as a treadmill and spin bike all at relatively low prices. That’s right, you can carry a treadmill out of your local ALDI store! Here are the details on what’s on offer. ALDI’s Premium Treadmill is selling for $499, which is about half what you could expect to pay with some leading brands in the home fitness space. Its assembled size is 172.5 x 78 x 132cm, with a total weight of 71kg, meaning it’s a two-person lift when you head in-store. Maybe three! The cushioned running deck measures in at 130 x 45cm. Once assembled, the treadmill is boasted for easy folding and storage, plus it features built-in transport wheels for easy mobility. In terms of speed range, you can reach as fast as 16km/h. There are 15 levels of automatic incline, plus Quick incline and speed buttons on the hand rails. Its LCD screen displays 10 pre-set programs with a heart rate control. For safety, you’ll find an emergency stop button included. 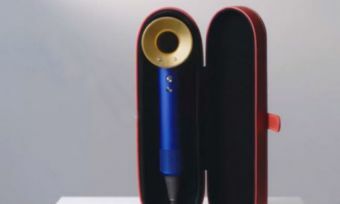 Other key features include a tablet and phone holder, as well as an MP3 player and USB input with two built-in speakers. 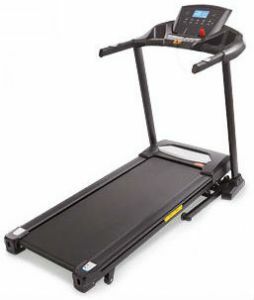 ALDI offers a one-year warranty on this treadmill, with a 1.5hp/1.1kW continuous duty motor. ALDI’s Spin bike has a price tag of just $199, with two colour options to choose from. Typically, spin bikes cost in excess of $200. 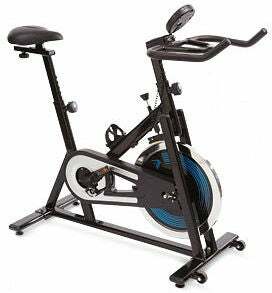 This ALDI spin bike is designed with a water bottle holder, adjustable seat and large flywheel. It includes a monitor to show time, speed, calories and distance travelled. In addition, it features front wheels for easy transportability. Onset Nutrition is the brand that ALDI sources for its protein supplements. 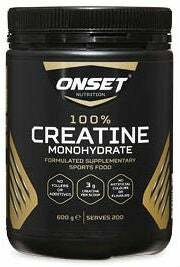 Supplement powders are all priced at $12 each, with a choice of 100% pure Creatine supplement (600g) and Pre-Workout Lemon & Lime supplement (300g). Recovery powder options include BCAA Grape (300g) and BCAA Pineapple (300g), both boasted for no filler or additives. There’s also a 1kg WPI Protein Powder ($34.99) available in two flavour variations – chocolate or vanilla – stated to be a good source of protein and calcium, plus low in sugar. 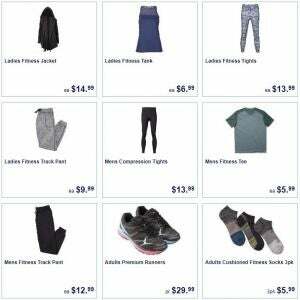 To go with your new fitness machines and lifestyle, ALDI has a line of sports gear, adult runners, gloves and socks on offer. Expect typical bargain prices starting from $5.99 for men’s fitness tee’s. And to ensure you’re all stretched out after your workouts, a 3-in-1 foam roller ($19.99), foot massager ($59.99) and massage table ($129) are also up for grabs.